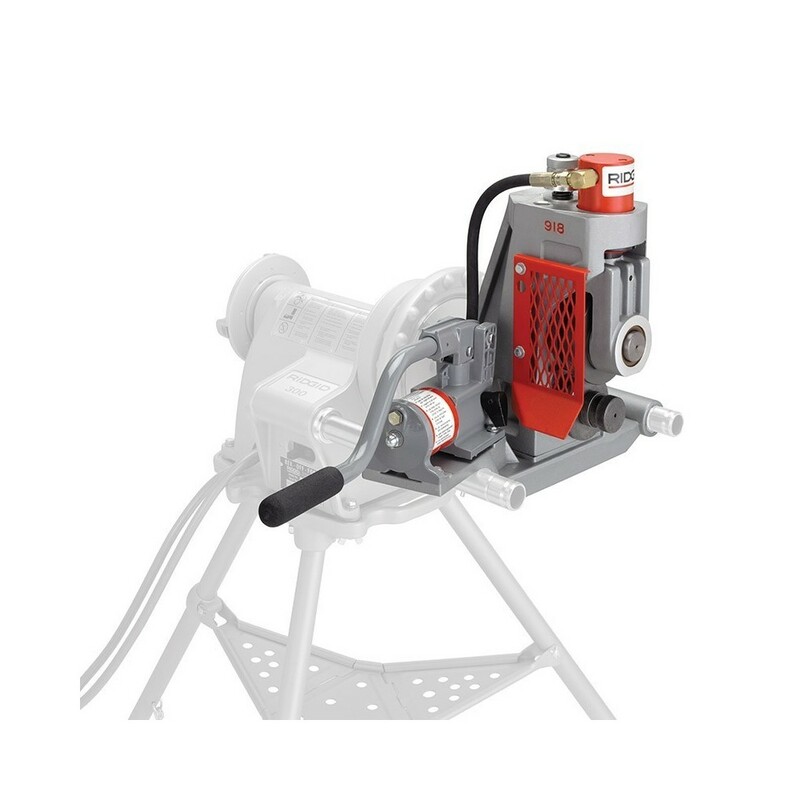 The RIDGID® Model 918 Hydraulic Roll Groover features a powerful 15-ton hydraulic ram in a compact, easy to transport unit. With one man set-up and operation, it is the ideal groover for job site requirements. The Model 918 mounts quickly to RIDGID® models 300 power drive, 535, 300 Compact, 1233, or 1224 threading machines. Designed to provide maximum efficiency, it is capable of grooving up to 12" Schedule 10 and 8" Schedule 40 standard wall pipes. Roll Set changeout is accomplished in seconds.